As crazy as it may sound, but dogs dream when they sleep too. It’s weird – what could dogs possibly dream about? Sometimes they’re chasing a cart, others it could be their tail. Animal psychologists have said that some dogs can even have nightmares; they can dream about being hunted down, even abandoned! This pupper, however, is dreaming of the boogie! 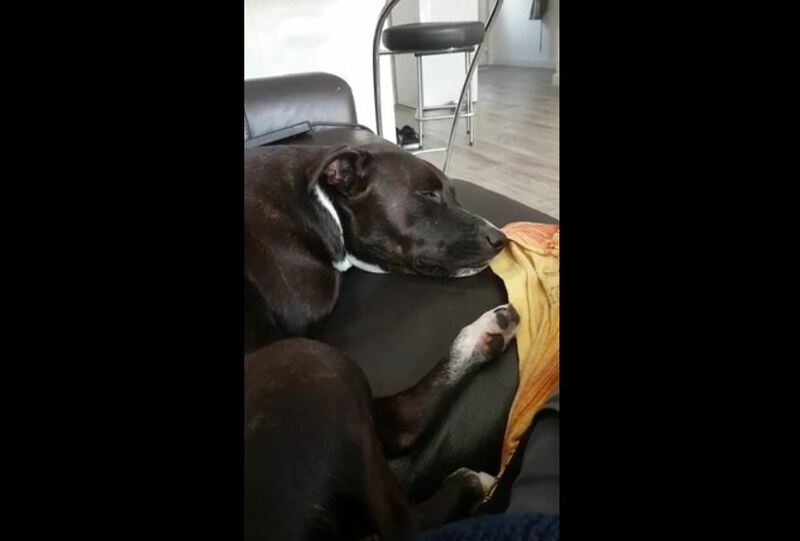 Indi the Pit is fast asleep on the sofa, but with a funky Kenny Dorham tune blearing in the background, she can’t help herself but dream about hitting the beat!